Deaths of children younger than 13 in motor vehicle crashes have declined since 1975, but crashes still cause 1 of every 4 unintentional injury deaths. Most crash deaths occur among children traveling as passenger vehicle occupants, and proper restraint use can reduce these fatalities. Restraining children in rear seats instead of front seats reduces fatal injury risk by about three-quarters for children up to age 3, and almost half for children ages 4 to 8. All 50 states and the District of Columbia have child restraint laws on the books. However, even though more children now ride restrained because of these laws, many children, particularly those 4 and older, still ride unrestrained. 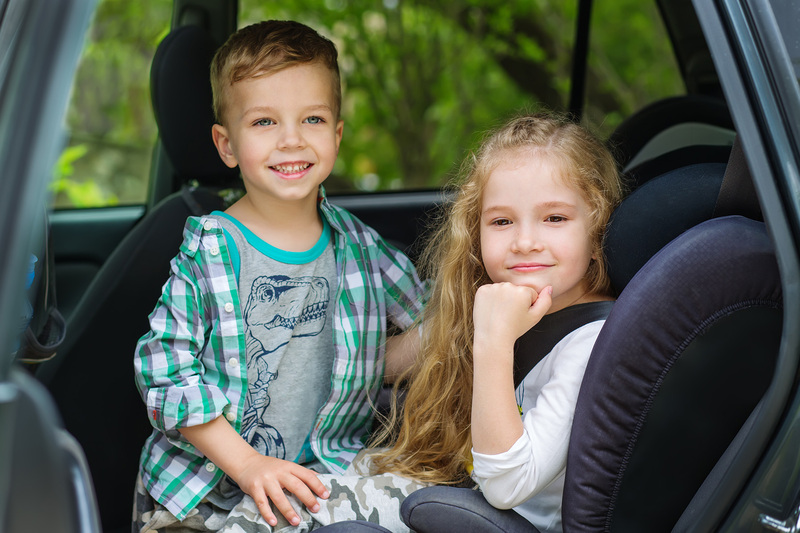 Eighteen states have laws requiring children to sit in the rear, but there is considerable variation among the laws based on the child’s age, height, weight and whether the vehicle has frontal airbags. The District of Columbia and all states except Oklahoma require all child occupants younger than 13, including those sitting in the rear, to be restrained. There can be no debate that proper restraint use can reduce crash deaths and injuries even more. Appropriate child safety seats provide significantly more protection in a crash than safety belts alone. Keep a stuffed animal in the car seat and when the child is put in the seat place the animal in the front with the driver. Or place your purse, briefcase or cell phone in the back seat as a reminder that you have your child in the car. Around 2,400 kids each year – or approximately 50 children each week – are injured after being struck or run over by a car that is backing out from a driveway. Of these, around 2 kids will die each and every week from their injuries. All told, backover accidents account for around 42% of all non-traffic related auto fatalities involving children each year. Front-over’s account for another 22%. Most of the time it’s a relative behind the wheel – often a parent – who runs the child over. These accidents occur from a lapse in supervision as someone is either leaving or coming home from a trip. A child is lost track of for just a moment and ends up either in front of or in back of the car without the driver noticing. A child may slip out the door without being seen, and so the person leaving assumes the child is still safely inside. Or a child may break away and run after the parent who is leaving, either because they want to tell them something, need a last minute hug or kiss, or otherwise feel they need their parent. Occasionally they occur because a child is playing/hiding underneath a car. 1. 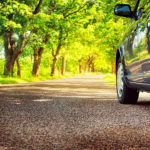 Always do a walk-around of the vehicle before you get in to drive away, looking not just around the tires and underneath the car but also in the general vicinity in each direction for any kids that may be nearby (yours or someone else’s). If there are, make sure you keep a visual on them your entire time backing out. Stop immediately if you lose sight of one. Get in the habit of doing this not just around your home, but every time you back out. Kids are everywhere, after all, and you don’t want to be one of those people who accidentally hits a child in the parking lot. 2. Understand that ALL vehicles have blind zones, and get to know where they are on your vehicle. Every car has areas in the front and back that can’t be seen from the driver’s seat. Blind zones in the front of the car can extend 6 to 8 feet long and be as wide as the car. Blind zones in the back can be even longer – seven to eight feet wide and as much as 20 to 40 feet long. The higher off the ground the driver sits and the bigger the car, the larger the vehicles blind zones. 3. Never back out in a hurry. It doesn’t matter how rushed or how late to work you are, that 10-20 seconds you might save in your rush to back out is not going to make an appreciable difference. 4. Be sure to keep your driveway / yard clear of toys, balls, sports equipment, or other debris that could tempt a child to dart behind your car. 5. Hold toddlers and young preschoolers when someone is backing out so they aren’t tempted to run away or wiggle from your grasp. 6. As soon as your kids can walk and talk, explain to them how important it is to never try and run· after mommy or run / play behind a car. If they need to get an adult’s attention, they can jump up and down or wave their arms while shouting, but don’t run after the car. By following some of these common sense practices hopefully we can have an impact on the number of children that are unnecessarily injured or killed due to an in-car or out-of-car accident.